This set of machine embroidery designs is part of our Embellishments and Quilting collections. It uses the Satin Stitch technique. 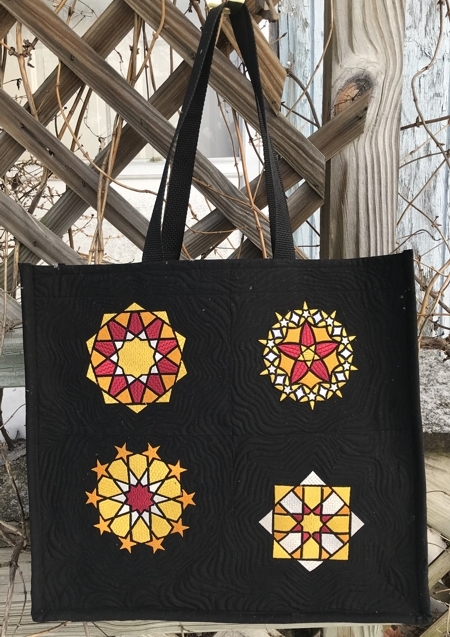 The designs will fit the Large hoop (5" x 7"). 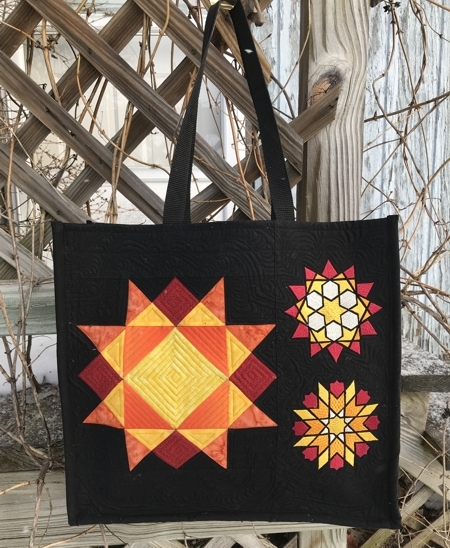 You can read about how to make this tote bag on the project page.